""Irina Speciac is another litigator whose mental agility routinely catches opposing counsel off guard. She complements a rock-solid patent practice with notable antitrust and regulatory law knowledge. 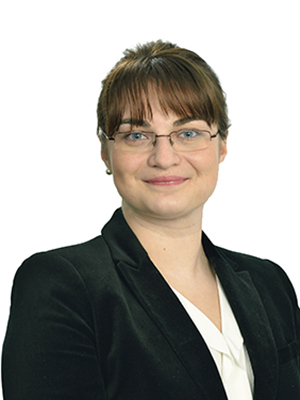 “ – IAM Patent 1000"
Irina’a activity mainly concerns the litigation area, where she has gathered a wealth of experience in representing and advising major clients in IP, competition and pharma matters. • successfully representing one of the biggest food products manufacturers on the Romanian market in a series of trademark and unfair competition related court cases. • assisting a major international pharmaceutical company in a complex patent litigation concerning infringement and alleged invalidity. • advising an international manufacturer of tobacco based products in developing and implementing its patent protection strategy in Romania. • advising one of the biggest international medicines producers on various regulatory matters including marketing authorization, price approval, reimbursement and labeling. • successfully assisting a major industrial group active on various markets in obtaining the merger clearance from the Competition Council.